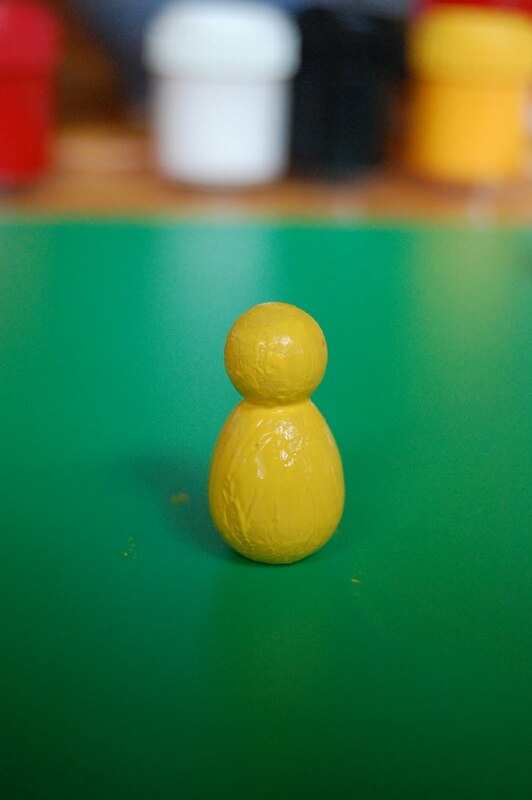 To make a bee, all you do is paint the body with yellow acrylic paint. Add a few stripes around the body. Cut a small 2cm square of mesh netting for the wings. and pull it in tight. Tie this around the neck of the bee. Use the extra thread to hang it up, either on a tree or on a little twig. 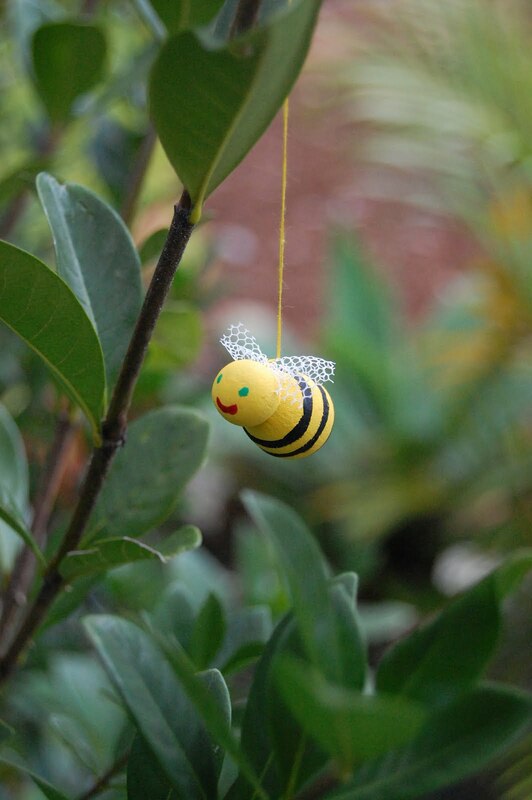 Why not make a few and hang them around a wire or rattan ring? You might add some butterflies too. Aww, so cute! 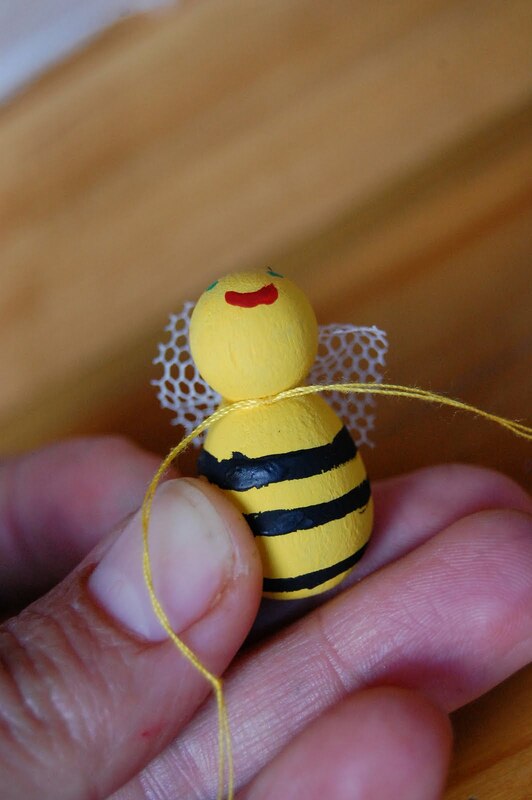 Hope I can find those bee-shapes somewhere in the Netherlands…otherwise I’ll just combine an oval and a round bead!